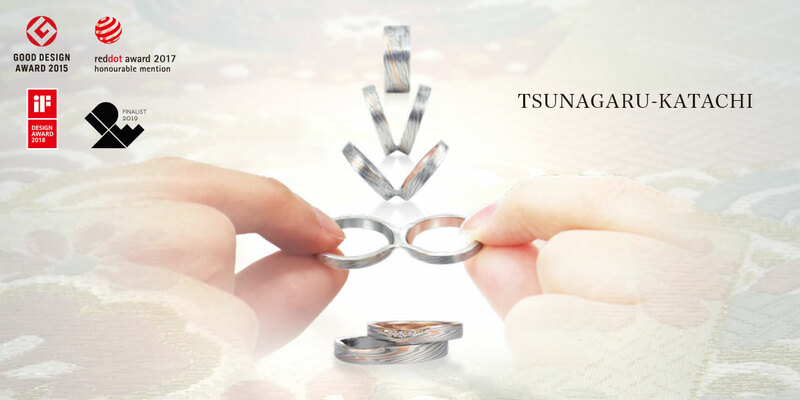 “Tsunagaru-Katachi” (linked shapes) is a concept that creates two rings out of the same billet, or block, of Mokumegane. 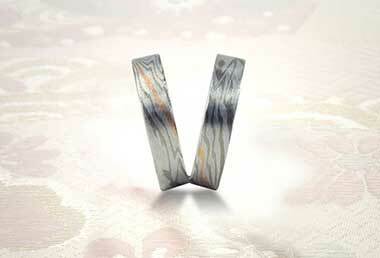 The ring that creates a special bond with your partner. 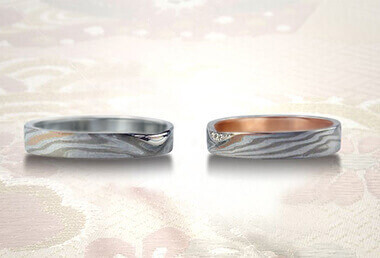 It can be split into two rings. 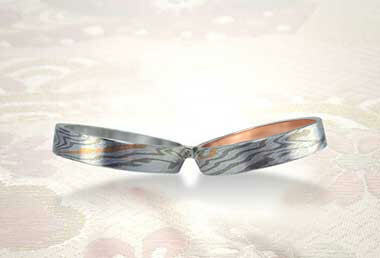 *The text is only in Japanese but you can see more images/photo. 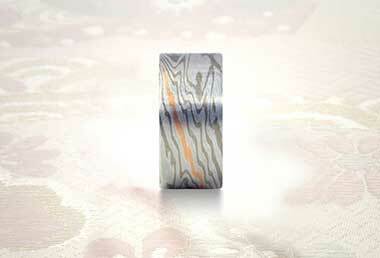 Our Engagement Ring and Wedding Bands are made out of the same sheet of Mokume gane. 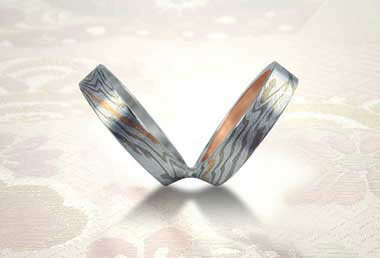 Three rings, an Engagement Ring and Wedding Bands can be made from the same base sheet of Mokume gane. 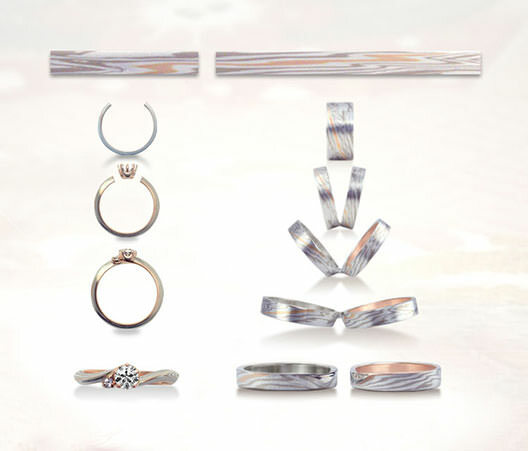 These are the Stackable Ring set.